The purpose of fire ventilation is to get heat and fire gases (smoke) out of buildings on fire. I believe it is an area that has been overseen for many years, but is slowly coming back to life. As the protective gear, nozzles and other equipment got better along with better knowledge, the need for fire ventilation decreased, at least in the European (Swedish?) case. But why go inside a building that is full of hot, black fire gases? Wouldn’t it be better to vent those gases out of the building first? 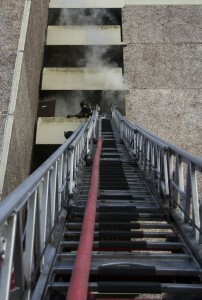 Today, fire ventilation has been a sort of reborn, although we still have a lot to learn. In addition, I believe that a lot of this newly awakened interest for fire ventilation comes from positive pressure ventilation. This is a rather “new” way of doing things, using large fans to “push” heat and fire gases out of a buidling on fire. This makes fire fighting inside buildings a lot easier and a lot safer. However, positive pressure ventilation is not any ready-made solution to all problems of fire fighting. It can be very dangerous if used incorrectly but very efficient if used correctly and with care. 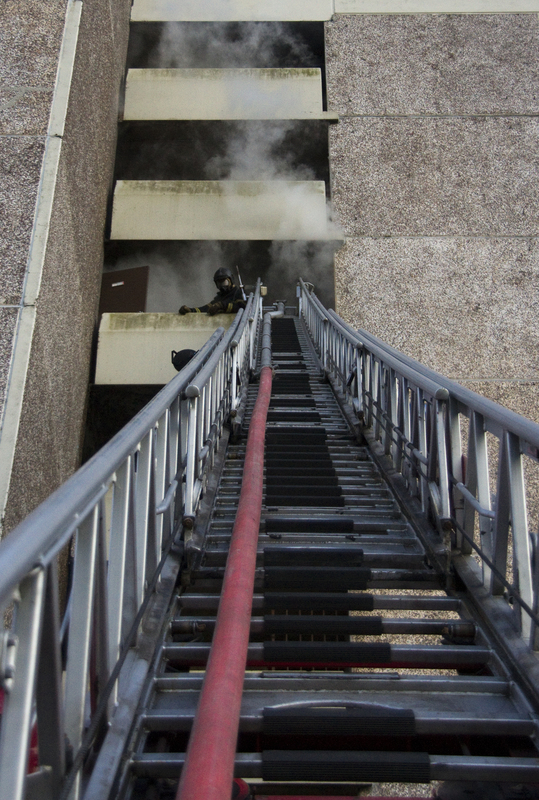 • Reduce the impact of fire gases and heat on trapped persons, and to facilitate their evacuation from the building. • Facilitate the fire and rescue operation by reducing the thermal load, and to improve visibility in the building for the fire fighting crew. • Prevent or contain the spread of fire or fire gases through a reduction of the impact of pressure and heat in the building. • Enable or facilitate salvage and overhaul at an early stage of the fire and rescue operation. I strongly believe that fire ventilation procedures should be implemented as soon as possible during the fire and rescue operation. Often it is of critical importance for the outcome whether the fire is fuel controlled or ventilation controlled, along with the coordination of other measures. Fire gases always flows from higher pressure to lower pressure. So, if there are different pressures in different rooms of a building, the flow of gases will allways be from higher pressure to lower pressure. The magnitude of the difference between the higher and the lower pressure determines the size of the flow, and how quickly this flow takes place (the flow rate). The magnitude of the pressure difference is in turn determined by the size of the openings between rooms, the wind conditions, the size of the fire and how it develops, the ventilation system etc. Differences in pressure can cause fire gases and the fire to spread long distances, and in directions that cannot always easily be predicted. With a knowledge of the different types of pressure differences in buildings and how they arise, the spread of fire gases can to a certain degree be predicted, and in certain cases also prevented.